Effectively increase revenue and propel your business forward with a spa management solution built to integrate with all of your existing systems. A seamless customer experience at your hotel or resort spa from check-in to check-out. Use our booking wizard to quickly schedule large groups and corporate events. Allow groups to check in under a single reservation, charge to corporate accounts or pay individually at POS. Easily schedule classes for fitness, yoga or other activities at the front desk or let your clients book online. Capture activity-specific guest preferences and payment. Increase guest retention with a centralized membership program. Offer member discounts, exclusive services or monthly credits that can be redeemed for services. Maximize peak period utilization and drive traffic during slow periods with a central management tool to improve productivity and increase revenue. Easily integrate your hotel PMS and process room charges in real-time. 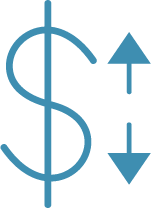 Optionally, transfer all spa revenue to your hotel system. You can count on our knowledgeable global team of experts for quick answers and live 24/7 priority support by phone or email. Ensure your staff are creating strong passwords with our enhanced security measures that follow industry standard best practices and prevent unauthorized access from remote locations. Connect your existing enterprise authentication system with Book4Time to provide the highest level of security and single authentication to your staff with their corporate credentials. 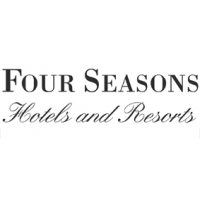 Book4Time’s innovative cloud-based spa software helped Four Seasons Hotel Toronto revolutionize their spa booking and gift card business, doubling staff productivity, and allowing the luxury hospitality brand to offer a higher level of personalized, memorable guest experiences. Take a closer look at how hotel & resort spas use our software.